We all know iPads make a great browsing and presentation device, and are excellent for portability. For a retail business they can make all the difference to setup costs and service by providing a cheap and confidence building checkout system that supports you with fully-fledged back end functionality. We have been building online stores with an add-on iPad point of sale system for a couple of years using the extremely secure Drupal framework. 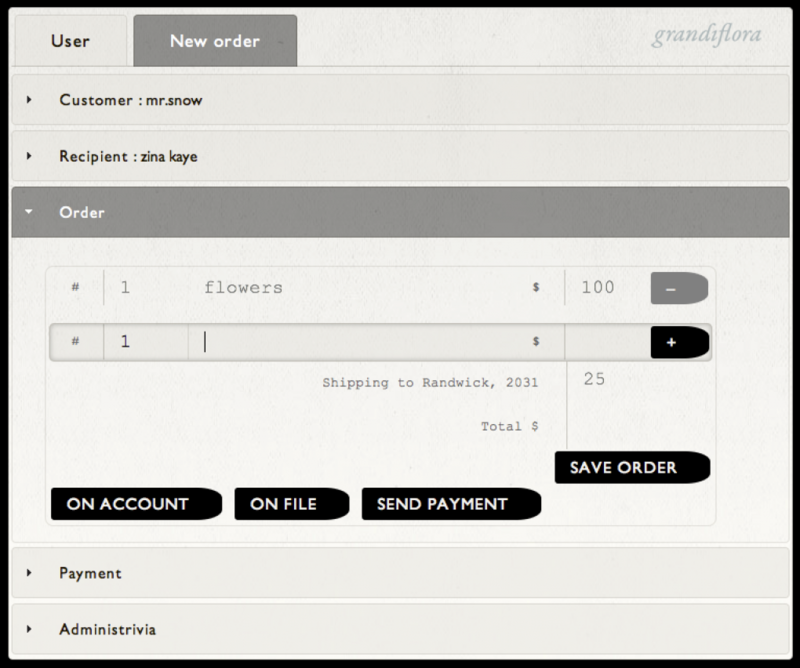 Grandiflora was our first client, and we jumped at the chance at providing a seamless experience for their staff. They use their florist iPad POS to manage courier delivery as well. You can use the iPad to take orders and process them, send receipts to a nearby wireless printer, and take customer details and add them to your customer database. Credit card details or cash can be taken in a number of different ways depending on your choice of payment facility. We support Westpac, the Commonwealth Bank, ANZ, St George, NAB, Paypal, EWay and we're working on more service providers. The iPad is always in the secure hands of the staff member, and they can easily use it to show the customer something that might interest them. This really works well for retail iPad POS where you can conveniently demonstrate stock from a supplier site. Staff and customers love the iPad POS. The benefits of connecting your POS to your website are many. Because your POS is driven by a website it's effortless to manage inventory, and therefore you can keep your reporting in one place, and have seasonal sales and stock availability immediately to hand. With an iPad POS you can flexibly meet the customer where they are, even at a market stall or their home if you are running a party plan business. Prices are quite reasonable compared to an old fashioned unsearchable till! Get in touch and have a look for yourself.